A copy of the crochet Super Easy Baby Blankets pattern book from Annie’s Designs has been given to me as a sample to review, the opinions are my own and I have not been financially compensated in any way for this. These pretty designs are all made using half double crochet stitches. The different looks are created by simply changing where the hook is inserted, taking this super easy stitch into a realm of endless possibilities. Photo steps are included in the written patterns. Each design is stitched using Red Heart Soft #4 worsted-weight yarn. 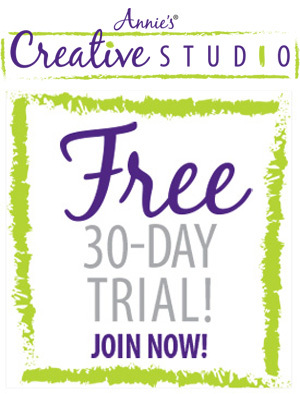 The links below are affiliate links if you wish to buy a copy of the pattern from one of these links (I will get a small commission (at no extra cost you), you will also be helping to support me to write more free crochet patterns. 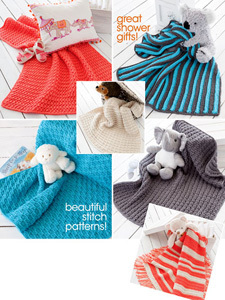 These beautiful crochet super easy baby blankets from Annies Catalogue are all made with a front and back loop technique and are very easy to make and follow patterns. I think you will love this book, it also has step by step instructions on how to crochet the half double crochet stitch. 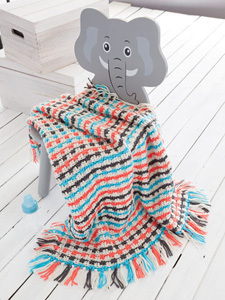 All the designs have been made using soft Red Heart soft yarn which can bought directly from Annies. 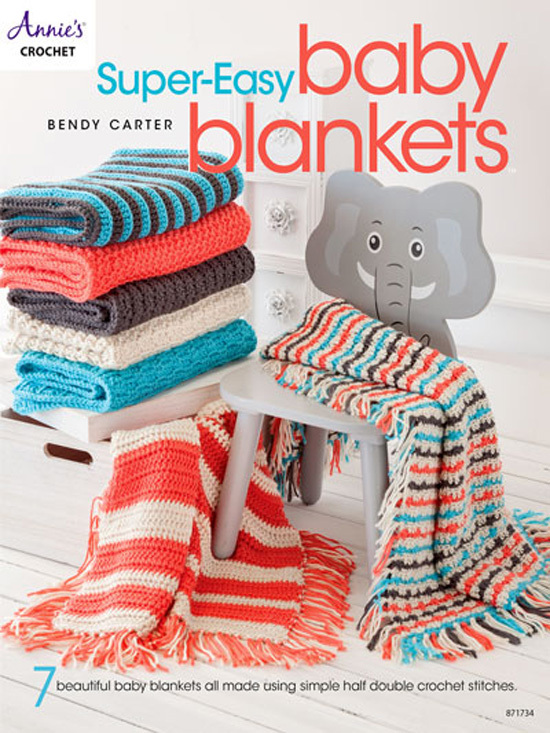 The book contains 7 baby blanket patterns that you can make watching TV or take it with you where ever you go. I thought this book had good clear instructions on how to crochet the designs and was well written. I am sure you will enjoy them too. 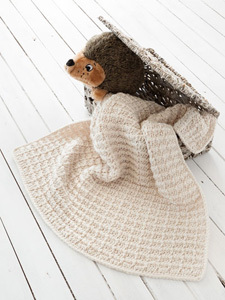 Super Easy Baby Blankets Book? Enter with the Rafflecopter form below, the giveaway is open worldwide except where prohibited by law. 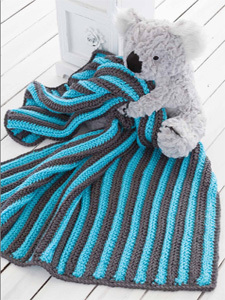 One winner will be chosen at random from the entries submitted and the winner will receive 1 copy of the crochet Super Easy Baby Blankets Pattern book. Good luck to you all. 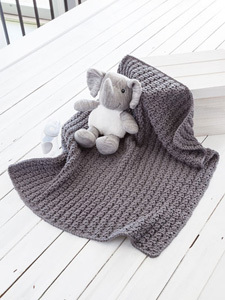 If you are not lucky enough to win the giveaway and would like to buy your own copy of the crochet Super Easy Baby Blanket pattern book, you can get it direct from Annies Craft Store. Thank you to Annies Catalogue for providing me with the pattern book to review, a copy for my giveaway and permission to use the photos. See also my review for the Palmeras Place Mat pattern. This entry was posted in Giveaways, Reviews and tagged baby crochet blanket, crochet, crochet review, giveaway on 23rd March 2018 by crochetncreate.